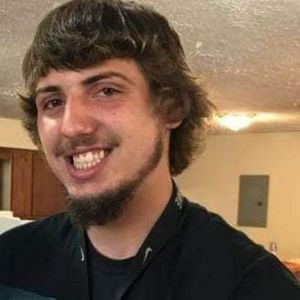 DRAKESBORO- Trevor Dylan Fleming, 20, of Drakesboro died March 16, 2019, in Greenville. Mr. Fleming was born on June 6, 1998, in Muhlenberg County. He was employed by Raben Tire as a tire technician. Survivors include his father, Joe Fleming; mother, Delta (Scott) Fleming; brother, Justin Fleming; sister, Chelsey Morgan; grandmother, Patricia Crick. Funeral services will be held Thursday, March 21, 2019 at 6:00PM at Tucker Funeral Home in Central City. Burial will be private. Visitation will be held Thursday, March 21, 2019 at 4:00PM at the funeral home. 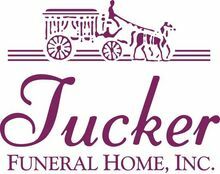 Online condolences can be made at www.tuckerfuneralhomes.com. The beautiful and interactive Eternal Tribute tells Trevor's life story the way it deserves to be told in words, pictures and video. May God keep his mighty hands on all the Fleming's in their time of need. Prayers for the entire family. Joe & Delta, I am so sorry to hear this news. I cannot even begin to imagine the pain you must feel. I pray that you all feel The Lords peace through this, somehow. Keeping you in my prayers! I was Trevor s former teachers. When I saw his picture I remember that smile. I'm praying for your comfort and strength in the Lord. We send our deepest condolences & prayers to you and your friends. The days to come ..